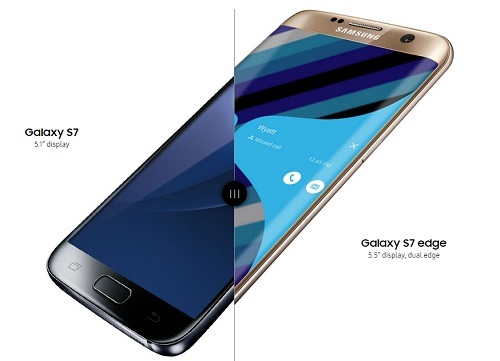 Samsung Galaxy S7 is Android smartphone manufactured and marketed by Samsung Electronics. The Galaxy S7 and S7 edge feature big screens in incredibly slim designs that fit comfortably in the palm of your hand. We've perfected the S7 edge's curved screen, so all you need to do is swipe for instant updates. It is an evolution of the prior year's model, restoring design traits from the Galaxy S5 such as IP certification for water and dust resistance, as well as expandable storage. Because Galaxy S7 ditched SD Card Slots, it can support for up to 200GB of additional space. The size, shape and general design of the Galaxy S7 means it's easier to hold and operate one-handed, which make Galaxy S7 become the one of the best android phones to play videos. Time to switch your iPhone to Galaxy S7. If you have got the new one and want to transfer movies and TV shows from iTunes library to Samsung Galaxy S7, you have come to the right place! M4V Converter Plus is such a professional iTunes to Galaxy S7 converter for you. It is very cood and wonderful with the bid screens of he Galaxy S7 and S7 edge feature to watch movies when you are out for a trip. You know that, most the purchased movies or rent movies from iTunes Store are DRM protected, that is to say, you can't play them directly on non-Apple Products, and you need to authorize the device or computer to play them. It is so limited to watch a movie, why not convert these protected M4V format to MP4 or MOV or other video format, so as to play them on any portable devices freely? With M4V Converter Plus, you are able to legally remove DRM protection from any iTunes movies and TV shows on your Mac (El Capitan compatible) or PC. Besides, you can also convert iTunes DRM-ed M4V videos to S7 supported standard audio and video formats, including MP4, WMV, MP3, FLAC, AAC, etc. In such a way, you can play iTunes movies on Samsung Galaxy S7 easily. Now follow the quick online guide to learn how to convert iTunes movies or TV shows to MP4 for playback on Samsung Galaxy S7. The screenshots are taken from Mac version (If you are a Windows user, please click here). Step 1. 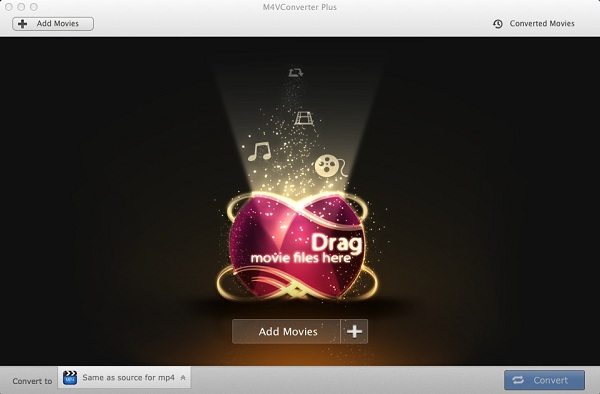 Free download the installation package of M4V Converter Plus on your Mac, install and launch it. Step 2. Add iTunes video files to the application. To import iTune movies or TV shows to the program, you can click Add Movies button, either drag and drop the videos directly. Step 3. Set output format for playing on Galaxy S7 and S7 edge. Click on the Convert to panel, you will see the video setting profile list. Here you can select Samsung Galaxy S7 from Android option as output format. Step 4. Start converting iTunes movies to Samsung Galaxy S7. 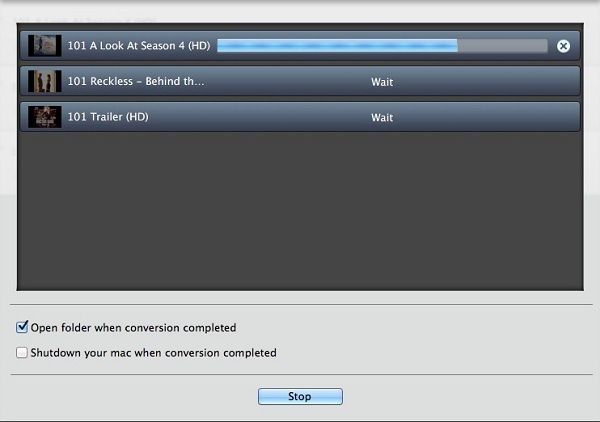 Now you can click Convert button to start converting iTunes movies to MP4. 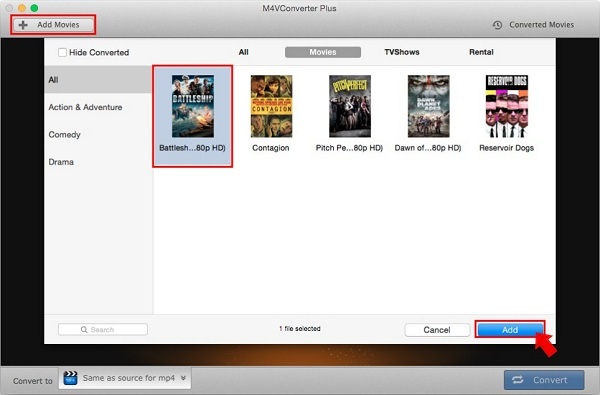 Few minutes later, you can find the converted iTunes movies in Converted Movies option. Then you can go the Samsung Galaxy S7 settings and switch on USB debugging. And connect your phone to the computer so that you can check your device on computer and it will be read as a disk. Copy the converted iTunes movies or drag and drop the converted iTunes movies to the disk directly. Now you can play any iTunes movies on Samsung Galaxy S7 at will. Want to enjoy your iTunes music files on Samsung Galaxy S7? Macsome iTunes Music Converter can help you. With it, you can remove DRM protection and convert iTunes music to plain MP3, AAC, etc. In this way, you can transfer apple music to galaxy S7 easily. Learn more. Spotify Music to MP3 Converter is another DRM music software recommended for you. It allows you to decrypt and convert Spotify song or playlist to MP3, AAC, WAV and FLAC. With it, you can download Spotify music with high quality. And then you can play Spotify music anytime and anywhere. Learn more.